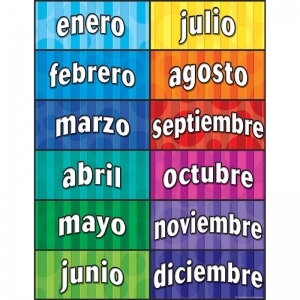 This Spanish How Are You Feeling Today? 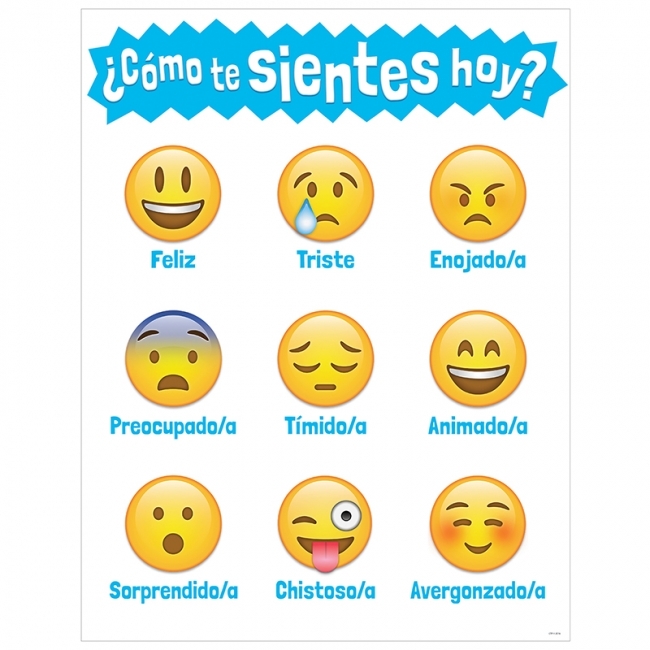 chart brings a little bit of social media emoji fun to the classroom. 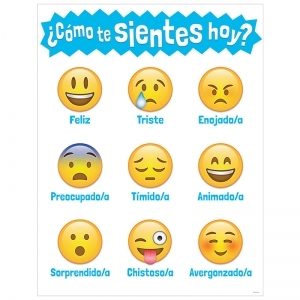 Feelings represented on chart: Happy (Feliz), Sad (Triste), Angry (Enojado/a), Worried (Preocupado/a), Shy (Tímido/a), Excited (Animado/a), Surprised (Sorprendido/a), Silly (Chistoso/a), and Embarrassed (Avergonzado/a). Perfect for ELL students, bilingual classrooms, dual-immersion environments, Spanish language classes, and more. 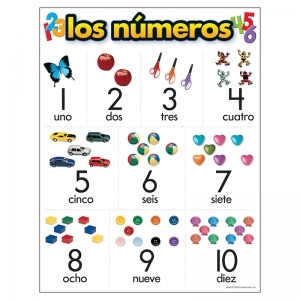 All charts measure 17" x 21 3/8" and include 4 reproducibles on the back to reinforce learning! 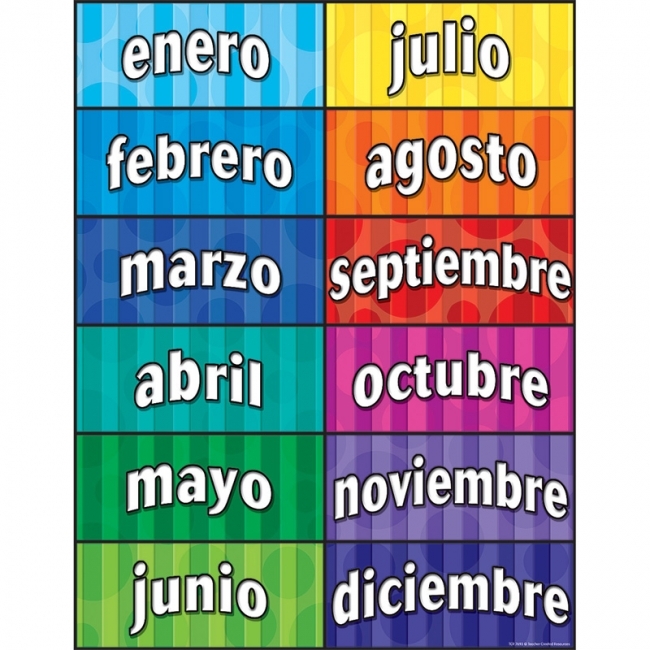 Reinforce basic Spanish language skills such as syllable identification and word building with this colorful pocket chart and its 225 cards! 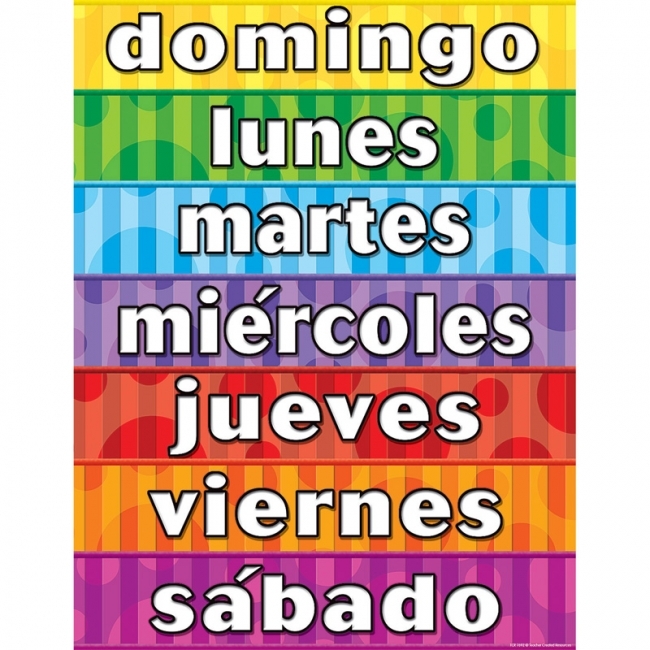 Cards include die-cut images that represent words beginning with each syllable; double-sided syllable, consonant and vowel cards; and blank double-sided, write-on/wipe-off cards. 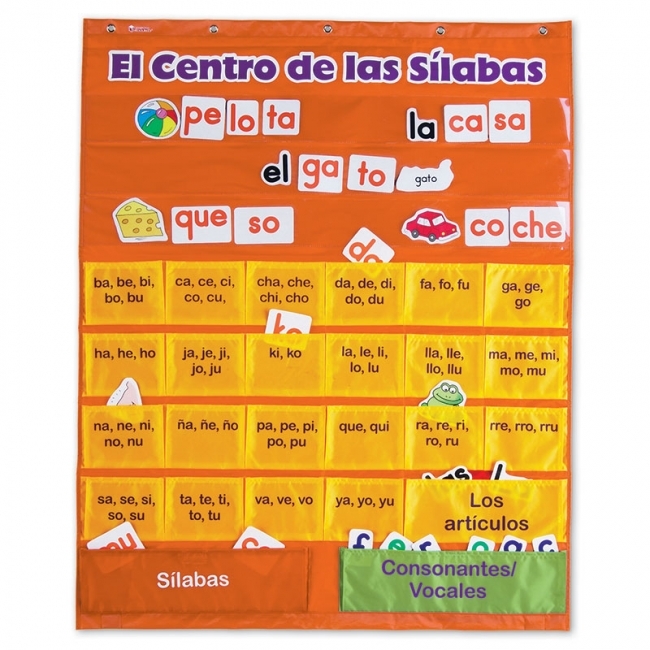 Chart features 3 clear pockets at the top and separate pockets for sorting open-syllable families, articles, syllables and letters. Chart measures 28"L x 38.5"H.
In Spanish: A festive balloon theme with twelve months to celebrate birthdays in the classroom. 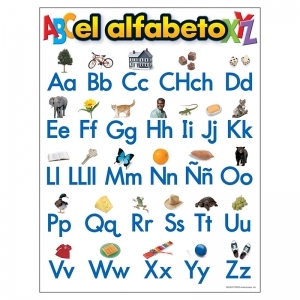 Back of chart features reproducible activities, subject information, and helpful tips. 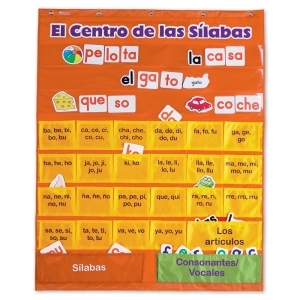 17" x 22" classroom size. 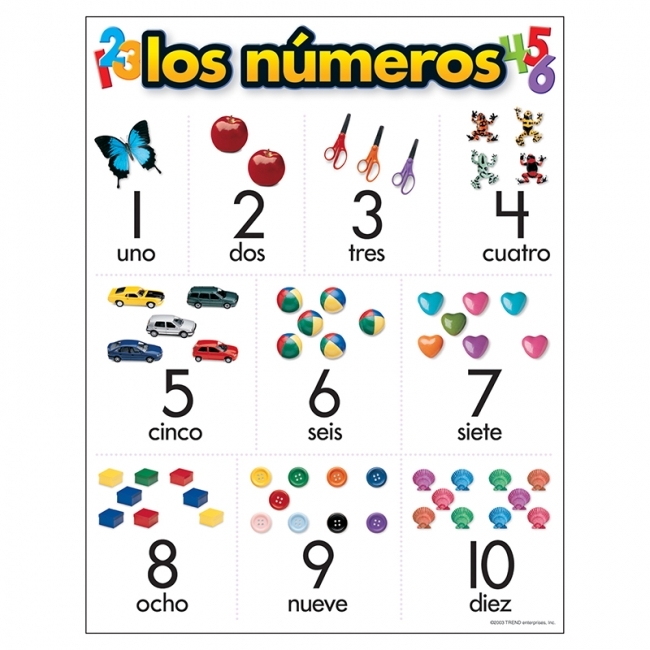 Numerals and Spanish number words are illustrated with colorful photographs of objects to count. 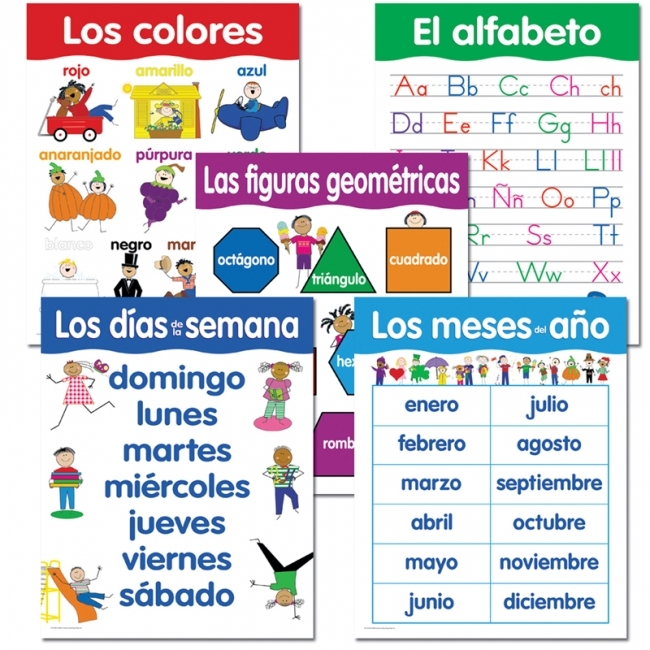 Back of chart features reproducible activities, subject information, and helpful tips. 17" x 22" classroom size. Cree En Ti Tu Puedes. 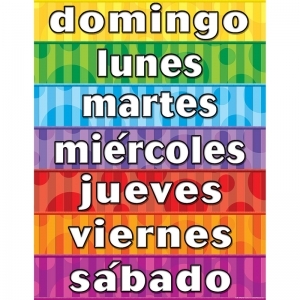 Capture students' attention and get them talking about life with powerful, positive messages in Spanish. ARGUS Posters encourage kids to act in positive ways and show respect for themselves and others. 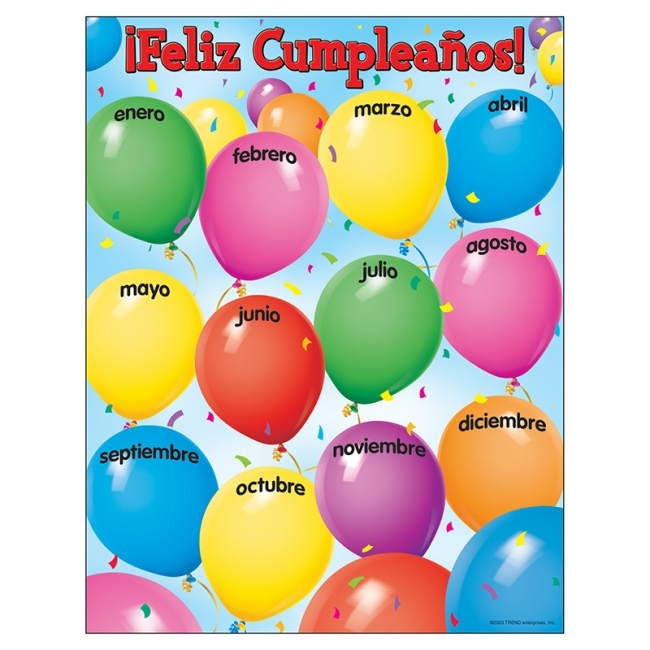 For more than 50 years, these posters have been the popular choice for all ages. Relevant messages. Durable and reusable. Dynamic graphics and photos. 13.375" x 19". 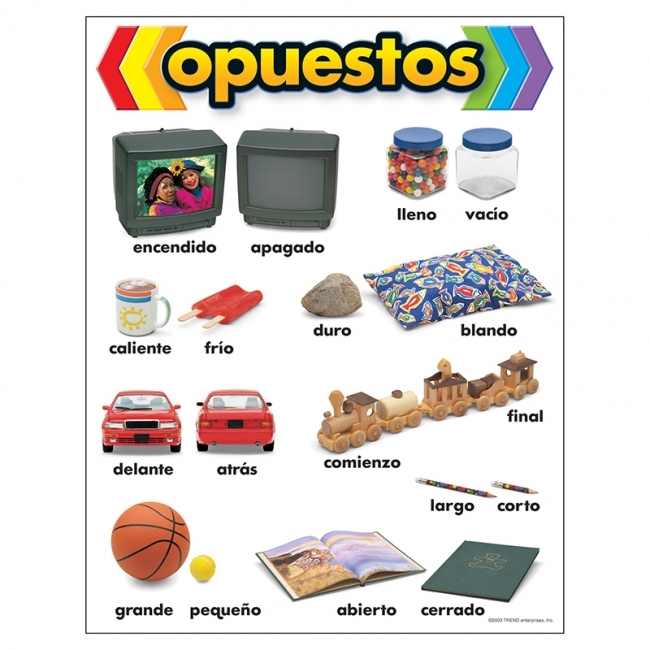 Convenient, useful learning tools that decorate as they educate! 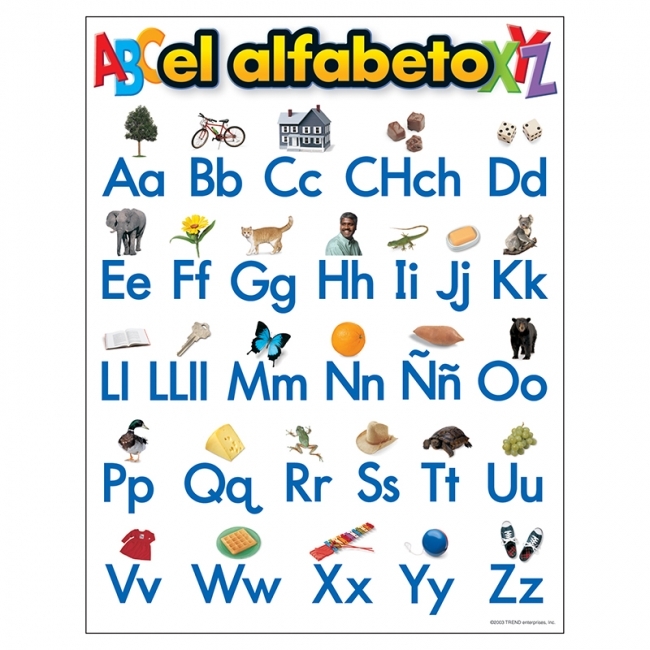 Each chart measures 17" x 22." 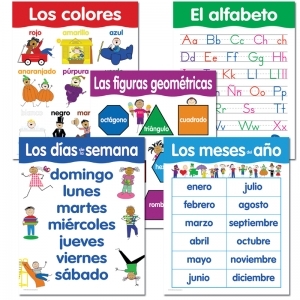 Related lessons and activities are provided on the back of every chart.